Purchasing a new hard drive (HDD) or solid state drive (SSD) for your desktop or laptop can result in a significant performance boost while also providing additional storage. When the time comes to upgrade you may ask yourself, which component is right for me? 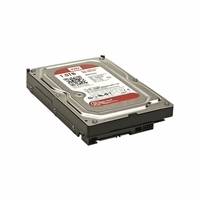 A 3.5" hard drive is commonly used in desktop PC application. This replacement requires opening the case and disconnecting cables for installation. External hard drives are useful for storing backups as they can be conveniently connected to your PC via a USB cable. A laptop hard drive measures 2.5" in size and is typically used with laptop and notebooks. Solid state drives, like laptop drive measure 2.5" however they can be used in both desktop and laptop applications where reliability and speed are essential. 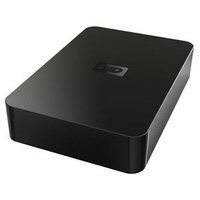 A hard drive is the central storing point for all of your computer's data / files. How much data can be stored is indicated by the amount of Gigabytes - a unit of measurement for computer data. Whether you choose to upgrade for speed, capacity, or longevity, or redundancy via RAID, we are sure to stock a drive to suite your needs. 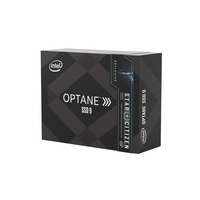 Choose from popular brands such as Samsung, Seagate, Western Digital and more. 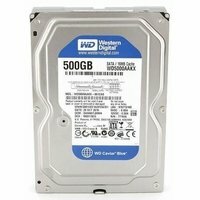 You can read about the two major players in the computer hard drive market by visiting Western Digital and Seagate's websites. 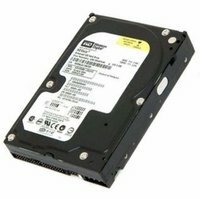 Hard Disk Drives (HDD) have been the main staple for computer storage over the last few decades. But now we have Solid State Drives (SSD) which use Flash memory for storing data (similar to a USB drive) instead of spinning discs, which is what HDDs use. SSDs have proven to be faster, and more stable, but the dollar price is often much closer to the total number of gigabytes than an HDD. So should you get less, higher quality storage for more money, or more lower quality storage for much less money? The argument can be made for both. If you're going to get a desktop and want more than a terabyte of storage, the answer is pretty clear: get an HDD. But if you're going to get a laptop and want to have a smooth system that you can use in an instant, get a good external hard drive (which is likely to be an HDD) and install an SSD in your laptop. 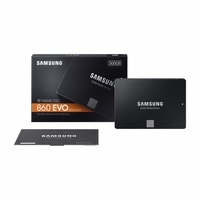 We carry several brands of SSD including Crucial, Mushkin, OCZ, Samsung, Kingston, and more. You have other options as well. 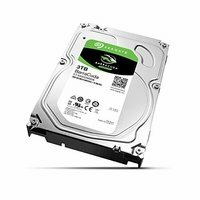 Seagate and Western Digital make hybrid drives, which use both technologies in one drive for faster performance, larger storage, and lower cost. For a desktop, you can also install a small SSD, maybe 32-64GB, as the main system boot disk for fast performance and install an HDD as a storage drive to boost. What do the different form factors (sizes) mean? Regarding form factor, be sure that you're getting a 2.5 inch HDD for your laptop or notebook PC, and of those, make sure your system takes a 9mm 2.5" HDD, or 7mm 2.5" HDD. This could make a difference especially if you have ultrabook. SSDs mostly come in 2.5inch form factor, making them fairly easy to install in many desktop and laptops. For desktops and standard NAS enclosures you will want to go with a 3.5" drive as they tend to be cheaper per GB, faster, and more efficient. RAID is an interface in which you may connect multiple hard drives of the same capacity in a series. 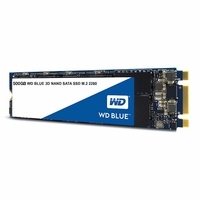 The management of these drives is handled by a chipset called the RAID controller. There are seven different raid modes however the most commonly used are RAID0, RAID1, and RAID5. Each mode provides it's benefits and setbacks. RAID 0 favors speed, RAID 1 favors security, and RAID5 favors a combination of the previous two. There have been a lot of innovations and revolutions that have happened since the invention of the computer, from keyboards to touchscreens and from floppy disks to optical disks and USB thumb drives. When you look at a computer from ten years ago, you would be taken aback on how much everything has changed. While this change is evident for most followers of computer hardware, the same cannot be said for the hard drive. Although there have been changes in regards to the capacity and speed, for the most part the hard disk still relies on the same principle of using spinning magnetic disks to store data. That all changed when the reinvention of the hard drive happened in the last few years. Gone are all the mechanical and magnetic parts of the hard drive, replaced by chips to form what is called a Solid State Drive or SSD. So what makes the SSD different and perhaps a cut above the rest from the normal hard drive? First, we need to know the essential difference between the two. The name Solid State Drive comes from the fact the drive itself is absent of any moving parts, while the regular hard disk drive or HDD is what we call a Mechanical Hard Drive since it has moving parts which are the spinning magnetic disks and the drive head. Comparison in terms of performance and durability, the SDD win hands down against the mechanical HDD. When talking about the performance, the SSD has faster read and write speeds than that of a mechanical HDD. When it comes to loading of applications, the SSD it is almost instantaneous and so is the boot times for your OS. The reason for this is that since these drives have no moving parts the access to the data stored in the SSD is instant. For a mechanical drive to work, the magnetic disks have to spin at a certain speed in order for the drive head to read the data, so from an idle state or even from a powered off state, the system has to wait for the hard drive to spin to the correct speed. Durability of the drive is also superior for SSD, since there are no moving parts an SSD doesn't suffer from the same flaws as that of a mechanical HDD. A mechanical drive relies on the drive head to move back and forth against the spinning magnetic disks to read and write the data. During this process, the drive head doesn't have physical contact with the magnetic disks. In a case where the drive head malfunctions and touches the magnetic disk, a catastrophic crash can occur which can render some files corrupted or even the hard drive useless. A short drop or a bump can cause damage to a hard drive. On an SSD, this is not an issue since there are no moving parts. Some SSD are known to have a rating of at least 1 G of force applied before it suffers failure. Power consumption of SSD drives is also lower than that of mechanical HDD's. With all these features, perhaps the downside of SSDs is the capacity and price. SSDs are fairly young and the price for one is almost double of what you get from a mechanical HDD with the same capacity and since the price is high for SSD there are no drives yet manufactured that can match the storage capacity of an mechanical HDD. You will see that change in next year or two. Hard Drives or Hard Disk Drives(HDD) store your photos, music, videos, applications and files by digitally encoding them onto rotating platters with magnetic surfaces. Two common types of Hard Drives are ATA(IDE) and SATA, both are supported by most motherboards. Hard Drives come in different sizes, 3.5" for desktops and 2.5" for laptops. Capacity is measured in Gigabytes, other characteristics include Read/Write Speed, Rotation Per Minute (RPM) and Cache or Buffer. 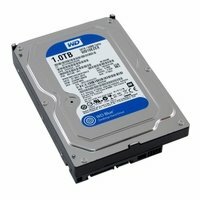 Q: My hard drive is making a clicking sound and is unable to start. What is wrong with it? A: The clicking noise you are hearing can be an indication of possible hard drive failure. The best solution would be to back up all of your data and bring the hard drive into a tech shop for a professional diagnosis. Q: My hard drive crashed. Will I lose all my data? A: Your data may still be recoverable. See a local repair shop for information. Q: I am going to purchase a new computer. Can my data be transferred from my old computer to the new computer? A: Using either a portable hard drive, or cabling it is relatively simple to transfer data from one computer to another. 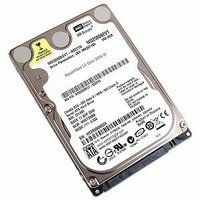 Q: I bought a hard drive, but the formatted size doesn't match the capacity I bought? A: Every manufacturer's definition of a gigabyte is 1,000,000,000 bytes, but computer operating systems use 1073,741,824 byte definition. Space is also used by the file system as well as master boot record. A good rule of thumb is that final capacity is short 7% after formatting and mounting any hard drive. For example a 250GB hard drive would have about 232GB worth of usable space. Q: I have a SATA 2 motherboard but I have a SATA 1 hard drive. 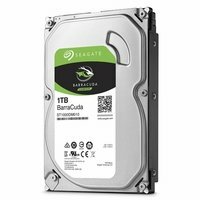 Is my SATA 1 hard drive compatible with my system? A: Yes, with limitations. A SATA 1 hard drive will work seamlessly with a new motherboard. SATA 2 hard drive will be backwards compatible with an older motherboard with SATA 1 with limitations. SATA 2 hard drives will be unable to use the full 3GB/s transfer rates as well as being unable to use features like Native Command Queuing. A: RAID (Redundant Array of Independent Disks) is a system where multiple hard drives are connected together for improved performance or reliability. There are many types of RAID. RAID 0 is called striping, where 2 or more drives are connected with no redundancy increasing performance by allowing both drives to transfer data at the same time. RAID 1 is basic level mirroring that allows two or more disks to automatically mirror the other. If one disk fails in a RAID 1 array, the other disk will automatically continue as a complete copy with no data loss or down time.